If you have done Reiki first degree and you feel ready to move on this is your next step. I recommend you give yourself a few months to practice what you have learned at level one before stepping up. 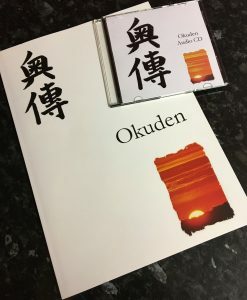 In Reiki 2 (Okuden) we help deepen your self-healing and self-practice, we explore intuition, like Usui’s original teaching, we practice distant healing and help develop your practitioner skills. Reiki First Degree provides you with a good base for your future practice and personal growth, providing you with the important tools to help you grow, develop and balance your energy system, promoting self-healing and spiritual development. Reiki Second Degree provides you with ways of deepening your experience of the energy helping you with approaches that will enhance your treatment of others whether in person or at a distance. Second Degree will move your Reiki on to a new level. We try to echo the original system that Master Usui would have taught, having your personal energy work at the heart of your practice. Reiki 2 (Okuden) builds upon this and gives you further tools to help move your experience of Reiki to the next level. At level two we introduce two important aspects of the energy to develop your self-healing but they can also be drawn upon within a treatment context too, allowing treatment to become more intense, focussing on physical healing or mental, spiritual or emotional rebalancing. The learner pack is sent out before the practical date to give you time to familiarise yourself with the energy, do your own daily energy work and have an understanding of reiki. To make a booking on this Reiki 2 (Okuden) Course, simply click the button below and you will be taken to the payment page where you can pay by card or your Paypal account. By booking this course you are paying full course fees which are non refundable and non transferable .